It’s a long time not to post something here! I ‘ll be back ASAP. So sorry for the questions that have not been answered. with whatever name by extension *.reg, Ex. “shutdown.reg”. then click the file to run. Then come up confirmation page, Click Yes. please install by using XP CD. our machine when we used Manage Your Server to install IIS. 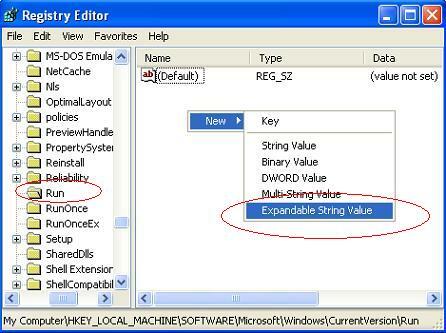 1.Select Control Panel -> Add or Remove Program, select Add/Remove Windows Components. 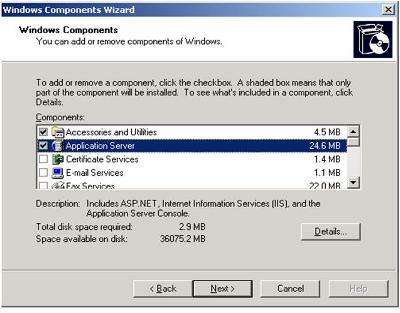 select the checkbox for Application Server. Look at the pic below.